Cambridge Exteriors know that the first impression of your home is determined by the exterior of your house. The first thing that people will see is the yard, the upkeep of the house and primarily, the siding. If your home’s siding is in need of some serious attention, you’ve come to the right place. 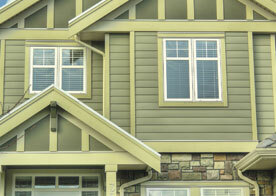 There are plenty of services that can improve your siding, and Cambridge Exteriors provides them all. We have worked with anything from small repair procedures to entire stripping and placement of brand new siding on the exterior of your home. Because our team has come from different pasts and all hold different skill sets and years of experience, we are able to provide you with the best individual for the job. 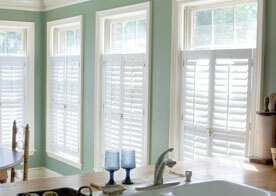 You can count on us to get the job done as quickly and efficiently as possible. There are no two homes quite the same here in Tabernacle, and that’s something that makes it beautiful. 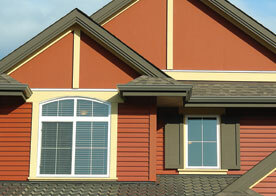 We provide an array of options so that the siding of your home is just as beautiful and unique as it’s occupants. From materials to colors, we can help determine exactly what will be the best fit and shade for the look that you’re trying to achieve. Whether you’re sticking with the colors that you’ve had for years, or you’re wanting to go with something entirely new, our expertise will help confirm that you’ve made the right decision. If you are looking to get started on replacing or fixing up your siding, reach out to our team today. We would be more than happy to schedule a consultation or answer questions that you might have regarding the siding and services that we offer here at Cambridge Exteriors in Tabernacle.